TRIPADVISOR CERTIFICATE OF EXCELLENCE – 2015, 2016, 2017 and 2018 ! Vieguini is the first bike rental shop in Porto. We have the experience and we are the tradition. We prepare our Voyager Bikes specially for you to travel with the best comfort. 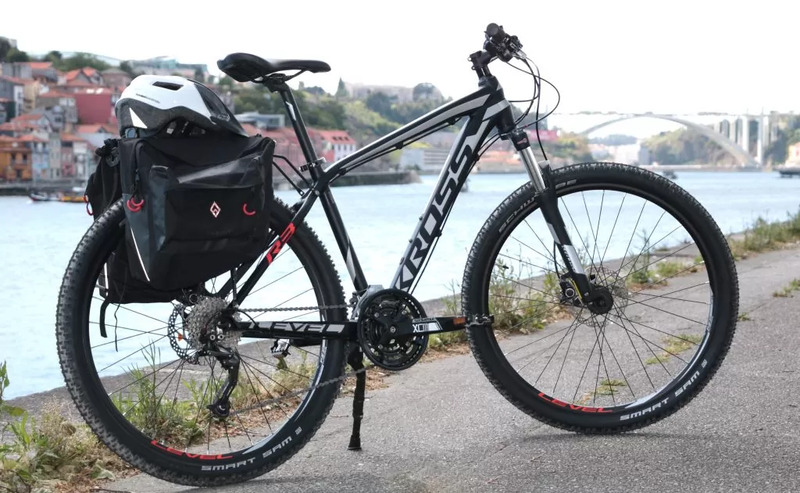 With a lot of experience preparing bikes for the day but also our Voyager Bikes for long trips – Santiago Compostela, Lisbon, Douro Valley, etc. – where the detail matters, we have our Voyager Bikes – Best Trekking and Mountain Bikes for Travelling, carefully prepared for you by our great permanent mechanics team (maybe the most important thing). 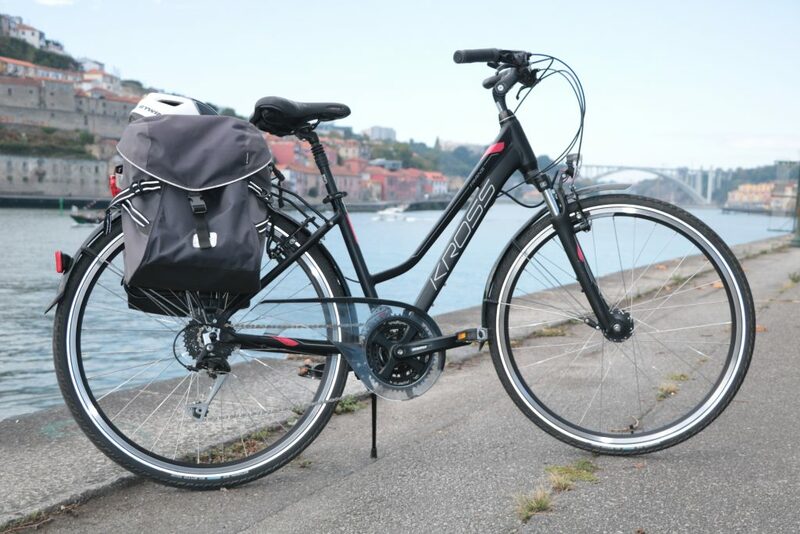 Our Voyager Bikes are the best bikes to travel at the cheapest price in the rental market. The price include the helmet, lock, bungee cord, pack light , tool kit with chain repair, spare inner tube, air pump. “Excepcional Service” – I did rent two trekking bikes for just over a week to make the 260 km trip to Santiago. Both bikes were professionaly prepared by young mechanic Baal. He did fantastic job making sure the bikes are in top shape, and explaining us the first part of our trip. “Biking in Portugal” – Cycling trip from Porto to Faro. Portugal beautiful nature, towns and friendly people will stay long time in the memory. The trip lasted twelve days. Thank you to Vieguini – Bike & Scooter for bike rental. Very good bikes, nice service, friendly people. “Great bikes. Excellent service” – We rented bikes for a week to cycle part of theportugese coastal camino. We cycled to Vigo with our 2 teenagers. The bikes were fantastic, we were given all the equipment we needed to repair the bikes if needed. The bikes were then collected in Vigo as part of the service. Couldn’t give the bike shop a higher rating. Everyone was ready for us when we arrived in Porto and the bikes were collected at the time agreed. Will definitely use the shop in the future. 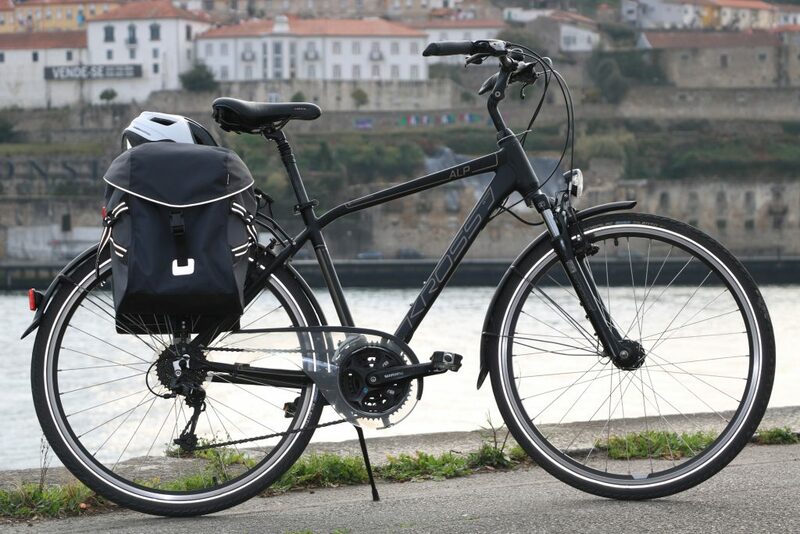 “Perfect service & good material with a smile!” – We rented two bikes for a trekking of one week in the north of Portugal. All the people of Vieguini (owners, staff, technical people) were very punctual, helpful & friendly from the start. The material was perfect and well maintained. We could recommend this service to everyone! “Excellent bike hire shop – so glad we chose them!” – My partner and I did a 4 day cycling trip up the Douro valley. We hired the bikes from Vieguini. They were in excellent condition and well prepared. Rui and his team gave us everything we needed for the trip, and their service was impeccable. We would highly recommend them. Thank you so much to Rui and team for 5 brilliant bikes and helping us to complete a fantastic trip from Porto to Coimbra. 210kms over three days! Very much recommended and hope to see you again soon! Because the detail makes the difference, you never leave our shop without checking if everything is in it’s right place. If you need to adjust or change something in the moment, you have a high qualify team to do it and that’s why you only pay the main rental price and the deposit after you check that everything is perfect for your trip (when you book our Voyager Bikes, we only ask you a symbolic amount in order to reserve the right Voyager Bike to be prepared exactly for you). 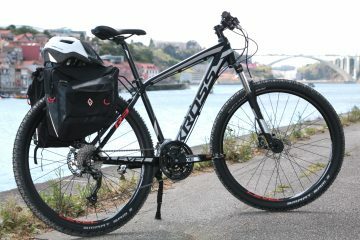 – The price include the helmet, lock, bungee cord, pack light , tool kit with chain repair, spare inner tube, air pump. – For long term rentals, please contact us for lower prices. – Delivery and Collect Service – for long distances and under request.